I wanted to add a cocktail that would be great to have on New Year’s Eve and this was the first that came to mind! Fresh lemon drop martini! 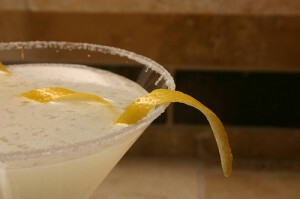 Classic lemon drop martini with a twist! Pour the ice, vodka, lemon juice, sweet and sour mix, and honey into the martini shaker. Shake as hard and fast as you can for about a minute. You want to break down the ice a bit, so it fills your martini glass with teeny tiny ice chips! Strain the cocktail into the martini glass.